Three and a half decades had to go by in order to achieve justice for a horrendous moment in the history of the country. At the time, television cameras recorded the burning of the Spanish Embassy in Guatemala and showed the agony the 37 people endured after being blocked from leaving. The official version offered by the State and other conservative actors was that a group of terrorists had committed suicide in an act of protest. [On January 19], a national court sentenced the police officer in charge of the operation; his goal was to guarantee that no one leave the diplomatic headquarters alive. Original article in Spanish can be found here. 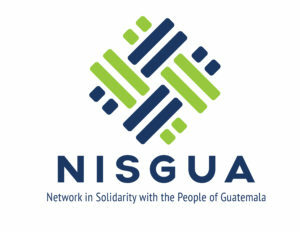 [In 1980] a campesino organization, the Committee for Campesino Unity (CUC) and a group of students, the Robin García Student Front (FERG), took over the Spanish Embassy to call attention to the beginning of the massacres of entire communities in the highlands of Guatemala. It was the time of military dictatorships, of guerrilla organizations, of mobilizations and massive marches, of political assassinations every day. These were the years of crisis, when groups – for good or bad – looked for change, while others sought to preserve the way things were through the use of terror. It was the last day of January 1980. Neighbors and passerbys in zone 9 besieged the police and military, asking them why they were not lifting a finger to save the victims who were crying out. The faces of the police wearing civilian clothes and uniforms remained stone cold. The firefighters looked to break the blockade maintained by security forces. In the background, the cries came out of the top of the two-story building. Screams of agony. The occupants – campesinos, students, Spanish diplomats and other embassy staff – pleaded to be let out while they were being burned alive. For minutes, nobody was able to do anything. Some, out of a sense of helplessness. Others, because they were under direct orders not to do anything. The order was this: not even one person gets out alive. For years, it was impossible to know who was responsible for the massacre. The intellectual authors backed the official truth provided by the dictatorship: the occupiers of the Spanish Embassy killed themselves in an act of protest. It had nothing to do with the State or its security forces, said the military. The most prestigious conservative historian, Jorge Luján Muñoz maintained for years that Gregorio Yujá Xona, the campesino who survived the burning, only to be killed one day later and left dead on the USAC campus, stated while in the hospital: “who knows who started the fire?” [Muñoz] expressed his position in books and during his testimony at the trial. With this, the truth about one of the biggest urban massacres in the history of Latin America was left in darkness. The case opened in 2001 – almost 15 years ago – thanks to the diligent work of Rigoberta Menchú, Nobel Peace Prize winner and daughter of campesino leader Vicente Menchú who died in the massacre. 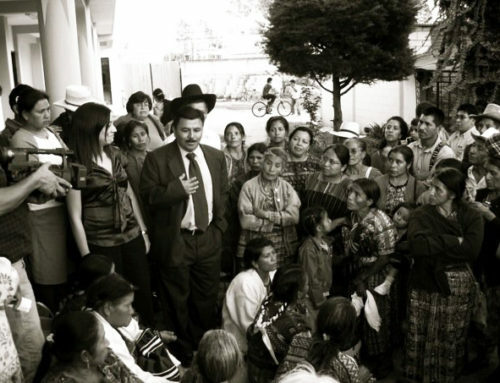 But her path remained blocked: the Guatemalan justice system would not allow for any advances. It was only on Monday, January 19th, 2015, that an answer [to the question of who started the fire] came in the form of a verdict. The decision to burn the Embassy came from the highest command: then-president Romeo Lucas García, Minister of the Interior Donaldo Álvarez Ruiz, Director of the National Police Germán Chupina Barahona, and Pedro García Arredondo, Head of Command 6 of the National Police ordered that no one get out alive. At this time, the occupation of embassies was a well-known and effective strategy that was used to call national and international attention [to a particular cause]. In 1980, there were no social networks or telecommunications capable of quickly transmitting what was happening in communities in the western part of the country. If someone was killed, it was possible that nobody would know about it. Other embassy occupations supported by the same organizations were carried out successfully, such as the occupation of the Swiss and Brazilian embassies. In these cases, the results were the same: no one was killed. The take-over on January 31, 1980 was the exception. 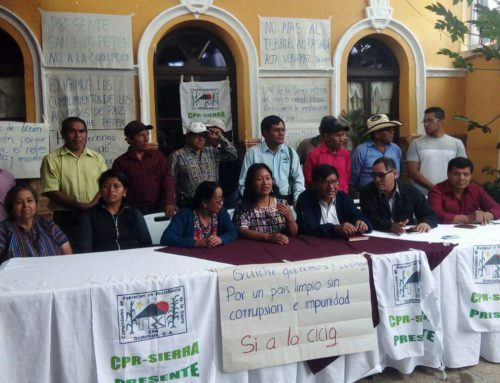 The campesinos had been in meetings in the city for days working to get their allegations published. The current director of La Hora, Óscar Clemente Marroquín, testified to that fact during the trial. As then-director of the daily El Impacto, he met with the delegation from the Committee for Campesina Unity (CUC), but wasn’t able to publish anything because of censorship at the time. A visit to the Organization of American States (OAS) bore the same luck. Nobody wanted to hear about massacres of entire communities. The only support they received was from urban organizations, and particularly from university students who made up the FERG. 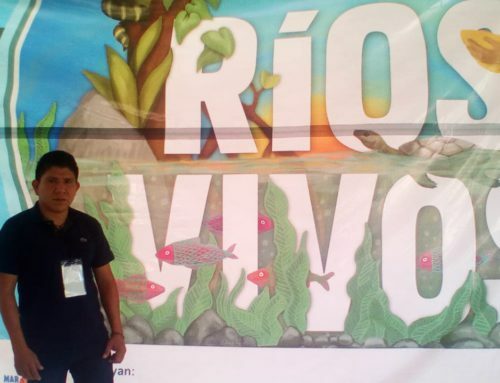 Students accompanied the campesinos on visits, they hosted them in the wings of the national university and in the end, they accompanied them in the occupation. In fact, two days after the massacre, thousands of university students met at the Paraninfo University in the center of the city to hold a memorial for the victims. According to a witness who testified during the trial and corroborated by documents from the National Police Historic Archives, García Arredondo and his Command 6 encountered a group of students who were leaving the Paraninfo University and killed two of the student leaders. The meeting was held around mid-day in a special room at the National Palace. Present at the meeting were President Romeo Lucas García Castillo, his Interior Minister Donald Álvarez Ruiz (currently a fugitive), and the head of the National Police, Coronel Germán Chupina (who was arrested but died before going to trial). They had just found out about the occupation of the Spanish Embassy by campesinos and students, although they already knew that it was being planned. Now, they had to decide what to do about it. There had been other embassy occupations during the government of Lucas García , but now, with the victory of the Sandinistas in Nicaragua in 1979 and the growing presence of campesino and guerrilla organizations in the highlands, the situation had changed. Hence, the forcefulness of the orders given to Chupina to be relayed to Arredondo: Get them out of there by any means! That was what journalist Elías Barahona was referring to when he testified at the trial that finished [on January 19]. Barahona was a spy for the Guerrilla Army of the Poor (EGP), who little by little, had won the trust of Álvarez Ruiz, eventually becoming one of his closest collaborators. He was there when the murder of almost 40 people was decided. 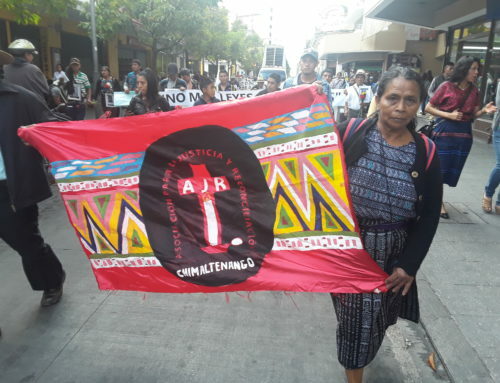 Lucas García’s order was quickly relayed via radio to García Arredondo, who together with his Command 6, was responsible for ending the occupation by “leaving no one alive,” according to the verdict emitted by the Court. This evidence was close to being lost. Days after testifying, Elías Barahona died at 71 from an illness that had been affecting him for years. García Arredondo acted under orders from his superiors in a hierarchical structure led by disciplined military officers. That was the third piece of overwhelming proof. The former head of Command 6 used a good portion of his 10 minute declaration before the court to emphasize this point. What he didn’t add was how well he carried out these orders. Of the 38 people who were in the embassy this day (including the campesino Yujá, killed several days later), only one – Spanish Ambassador Máximo Cajal – was left alive. Of his four bosses, Lucas García, Chupina Barahona and Castillo Valdés are dead; Álvarez Ruiz has been a fugitive for years. He is responsible for this command structure. Even his former officers have pointed to him [as being responsible]. Witness “A,” his subordinate in Command 6, said many times that García Arredondo was his boss and that he was present, directing the operative that day during the massacre at the embassy. Videos, photographs and recounts presented during the trial confirmed it: he directed the operative. He had no more excuses. Under orders from García Arredondo, the embassy was surrounded, all forms of communication and access to electricity were cut off, any type of negotiation was denied, and the police tried to enter by force. What wasn’t clear, according to the Court, was how the fire started. What was clear was that while they were trying to enter [the embassy], several explosions were heard that could have been molotov cocktails or shots from the National Police. What happened next was a mass murder. Several eyewitnesses testified to having heard a powerful explosion, likely caused by gasoline. According to video footage, photographs, and declarations, the explosion came from a flamethrower held by Arredondo’s assistant. The evidence was horrifying. The death of the 37 occupants could not have been caused by dropped molotov cocktails. All of those murdered were burned from their knees up, and their feet were intact. This fact confirmed that upon entering, a member of Command 6 fired a flamethrower. In a matter of minutes, they were all dead. During the trial one of the firefighters who went to the burning of the embassy recounted how the police prevented them from putting out the fire to save the 37 people who were inside. The order was that no one could be saved was reiterated by the Red Cross nurse and witness, Odeth Arzú Castillo. Because of this, when they found out that there were two survivors – Ambassador Máximo Cajal and the campesino Gregorio Yujá – state agents went to look for them in the hospital where they were recovering. They murdered the campesino and left his body in front of the USAC. Cajal was saved only because he was moved to the residence of the American Ambassador and then taken out of the country. Hearing after hearing, the former Head of Command 6 was seen by himself, without family or a friend close by. Shackled, he waited while the hearings continued, surrounded by police from the Penitentiary System. Some reporters passed him unaware of his identity. They only realized after receiving word from their colleagues that he, this old man with a wide body, gray hair and a strange look of satisfaction, was indeed the material author responsible for setting fire to the 37 occupants of the Spanish Embassy. The retired military realized that. He knew. No one was around him. The only support he received was from extreme right-wing organization, the Foundation Against Terrorism. During the hearings, neither retired military, public figures nor the business elite were asking the Constitutional Court to annul the sentence, like what transpired during the genocide case against Ríos Montt. Judge Jeannette Valdés began the hearing with a metaphor. For 35 years, since January 31, 1980, a fire had been burning. The condemnatory sentence against García Arredondo was the water that put the fire out. 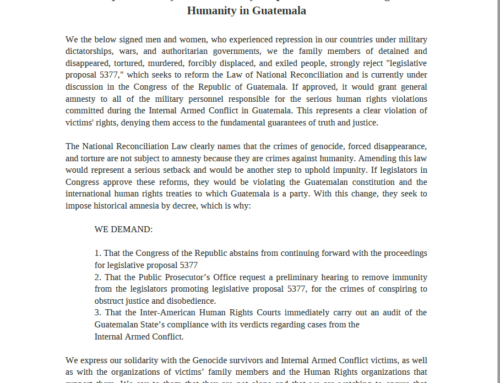 After Argentina, Guatemala is the second country in Latin America with the highest number of sentences for crimes of the past, despite not having a favorable political environment. Going against the current, a State institution (the Public Prosecutor) accused members of another State institution (the Ministry of the Interior and the Ministry of Defense) of one of the worst urban massacres in recent history. Yet another institution, the Judiciary, convicted them. In this way, a light has been shone on one of the darkest chapters of Guatemala’s history.